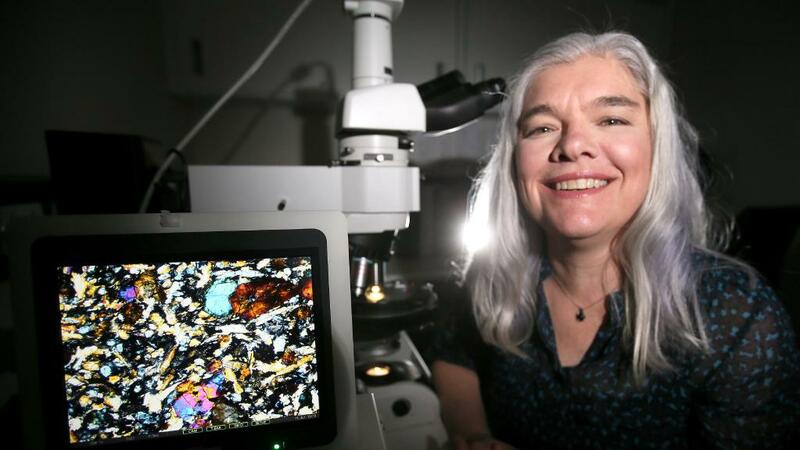 Congratulations to Associate Professor Gretchen Benedix for the $1 million grant as a 2017 Australian Research Centre Future Fellow to learn more about past potential for habitability on Mars as well as to select future landing sites! 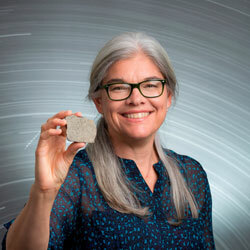 Gretchen is one of the Desert Fireball Network’s rockstars – she gets first dibs on sample analysis and classification of the meteorites recovered – so she knows a thing or two about space rocks… perfect for this next challenge to examine tiny ­slivers of meteorites from Mars. Gretchen uses CT scans and microscopes, but what’s exciting is the opportunity to exploit recent advances in technology to examine existing samples in even more detail without destroying them (muesums dont’ like when you do that).